Seeing all of Ingrid (Live,Laugh,RV) and Mona Liza’s (The Lowe’s RV Adventures – see list blogroll to right for links) bird photos near Galveston recently has reminded me of my first trip to a rookery. I think you both would love this place! 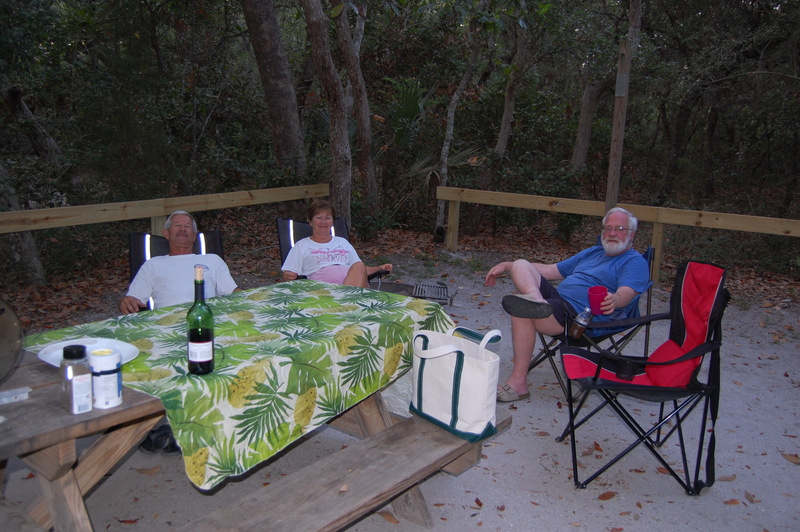 Back in May of 2011, we camped with friends John and Sherry Crowell in St Augustine, FL at Anastasia State Park. My friend Sherry had shown me her gorgeous bird photos from a prior trip to the rookery and I had to see this place for myself. 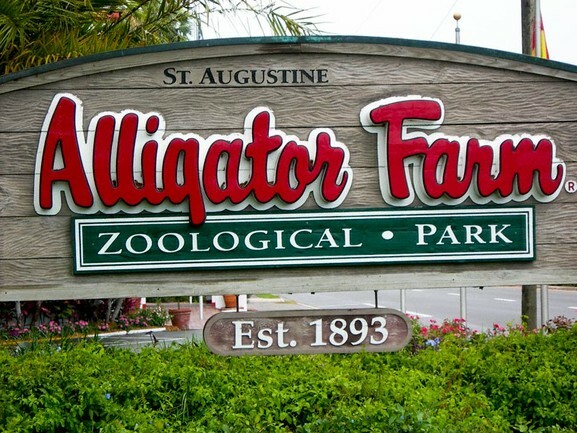 It’s a large rookery located in St. Augustine’s Alligator Farm and Zoological Park. 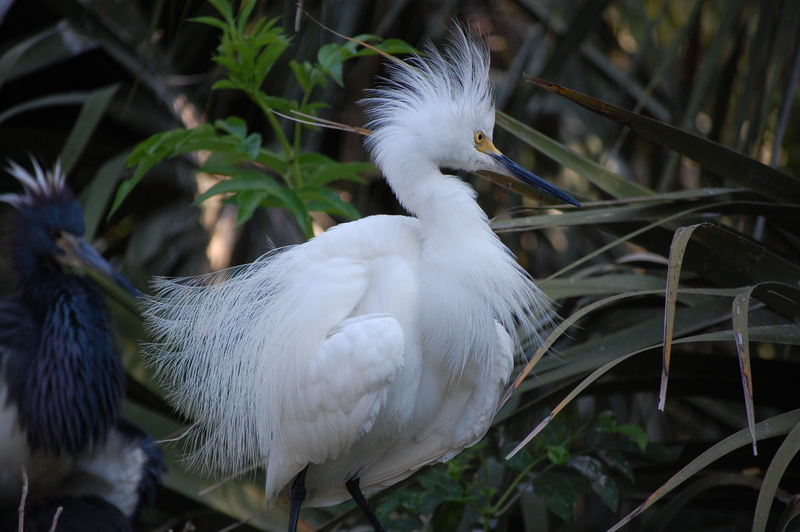 Native herons, egrets, ibis, spoonbills and wood storks seek the security of the Alligator Farm to roost and raise their young. With hundreds of alligators swimming beneath the oak branches, the birds know their young are safe from tree-climbing predators. 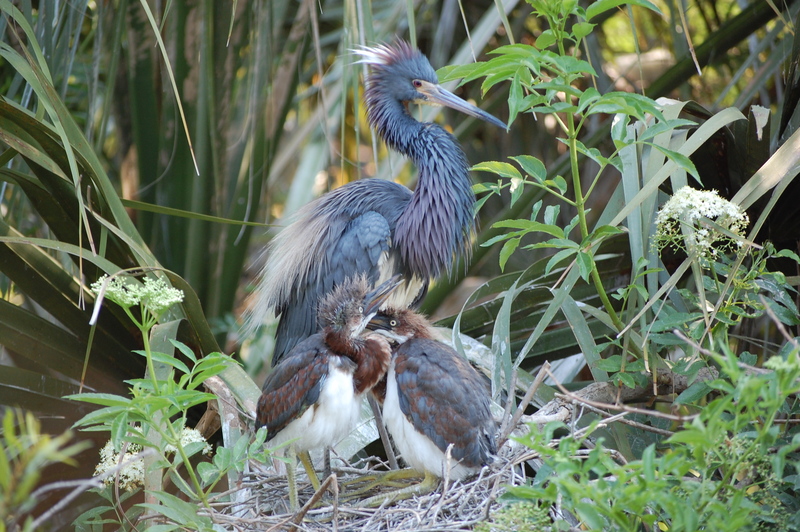 There is a wooden walkway which allows for incredibly close views of Florida’s beautiful wading birds on their nests. Photographers come here every year and visit early in the morning to take photos before the crowds of visitors arrive. 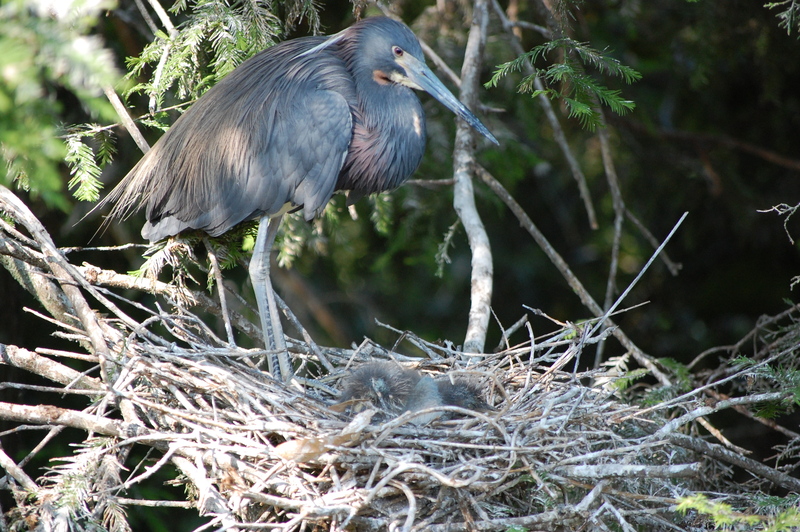 To see the most nesting activity with the birds in full breeding plumage, plan your visit for late March to April… But, I visited on May 23rd and I still found the rookery alive with nesting and breeding activity. I can’t imagine what it must be like earlier in the season! on the alert for birds falling in the water… John saw one eaten! 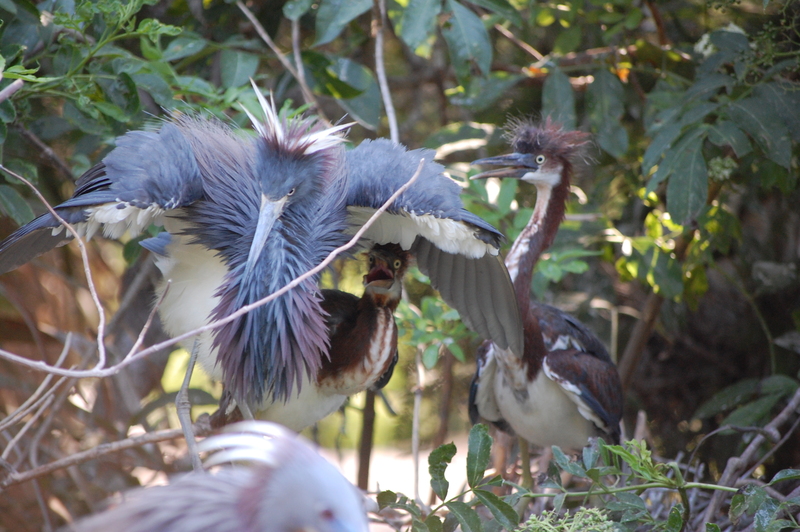 Woodstork and young were hard to see…. Mid February – The first pair of Great egrets arrive around Valentine’s Day. More are close behind and begin nest building. Late February– Great egret pairs continue to arrive, along with some Wood storks. The Greats start to lay eggs. Early March – Great egrets and Wood storks continue to flock in. 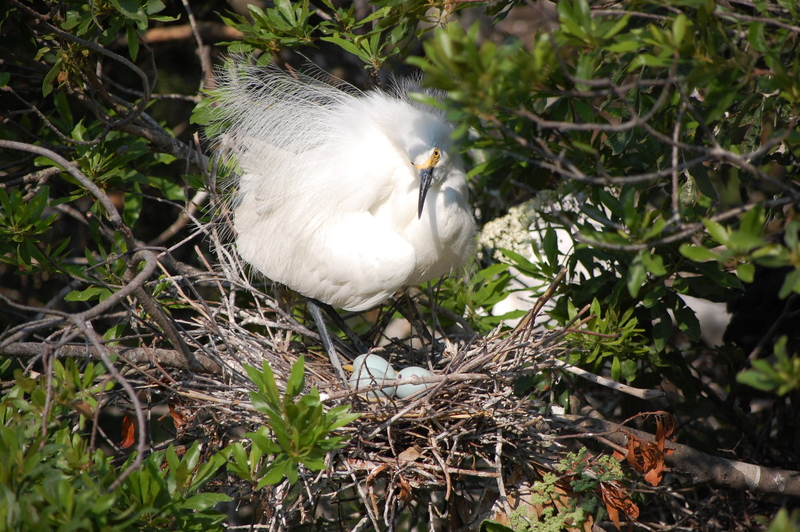 Mid March – Most Great egrets are incubating eggs. The Wood storks begin to lay. 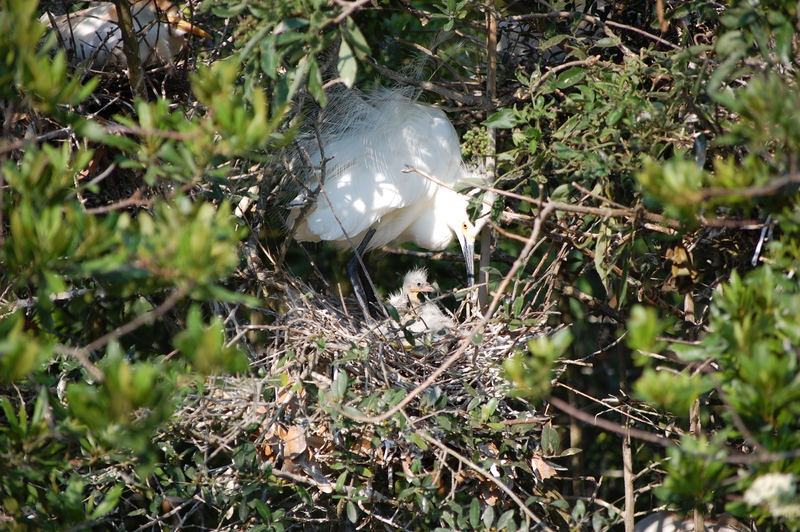 Late March – Great egrets chicks start hatching out. Most storks incubating eggs. 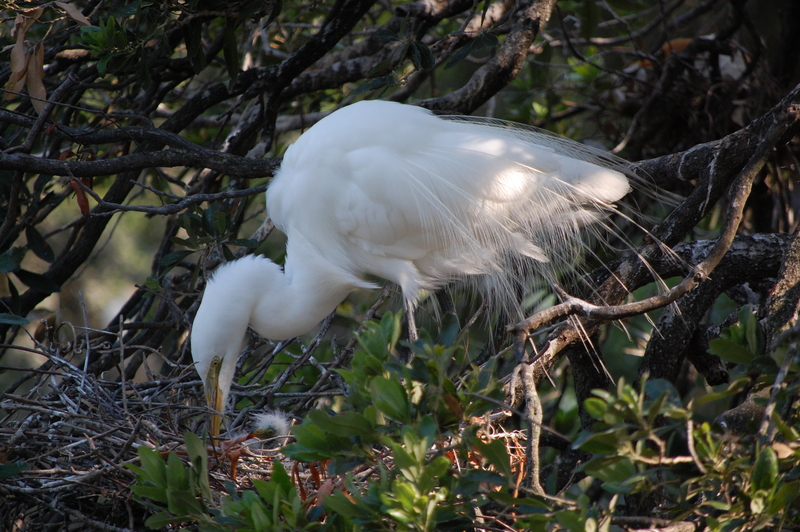 A few of the Snowy egrets, Little blue herons, and Tri-colored herons start arriving. The Snowys waste no time and immediately lay eggs. Roseate spoonbills are nest building. 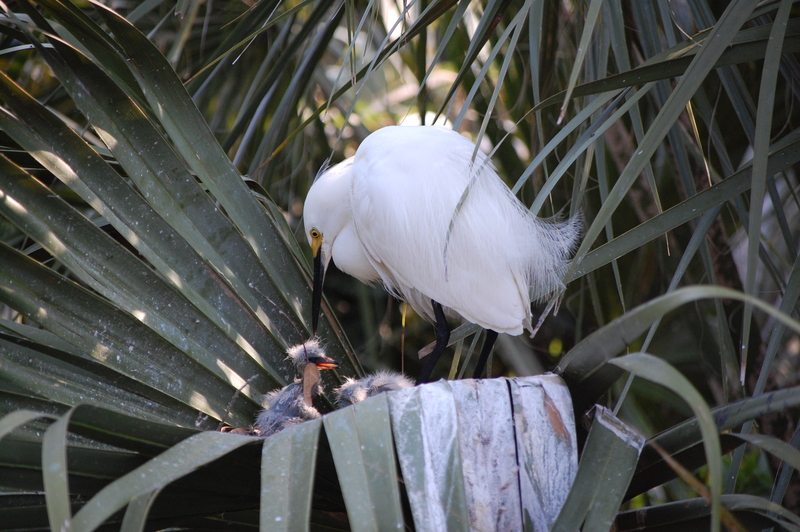 Early April – Wood stork chicks start hatching. Great egret chicks are starting to get to a good size. Snowys, Little blues, and Tri-coloreds are laying eggs. 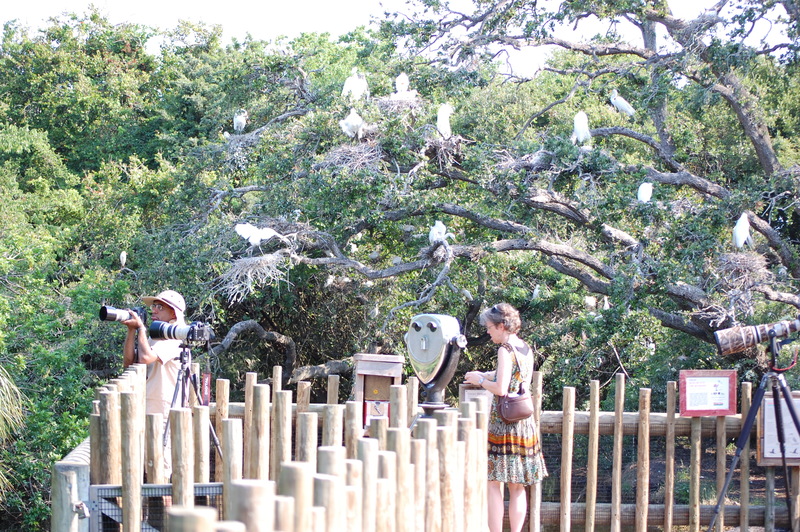 Cattle egrets start showing up. Mid April –. 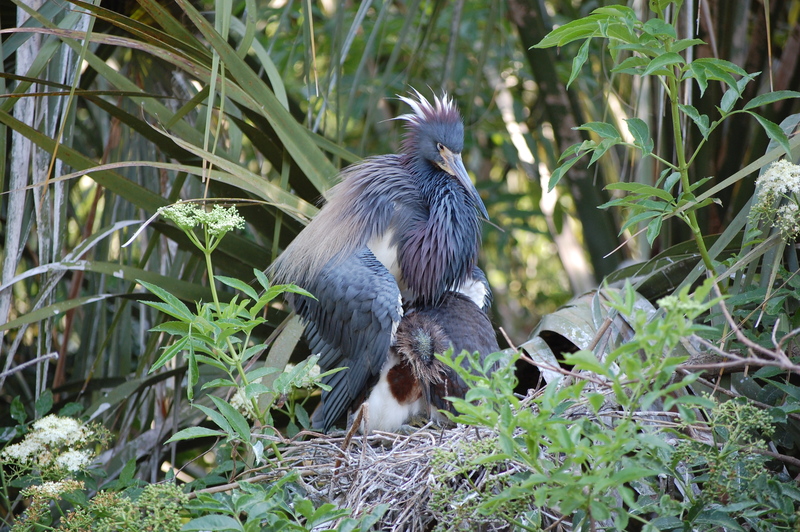 The Green herons start nesting within the park (not the rookery). Still lots of displaying birds of every species. 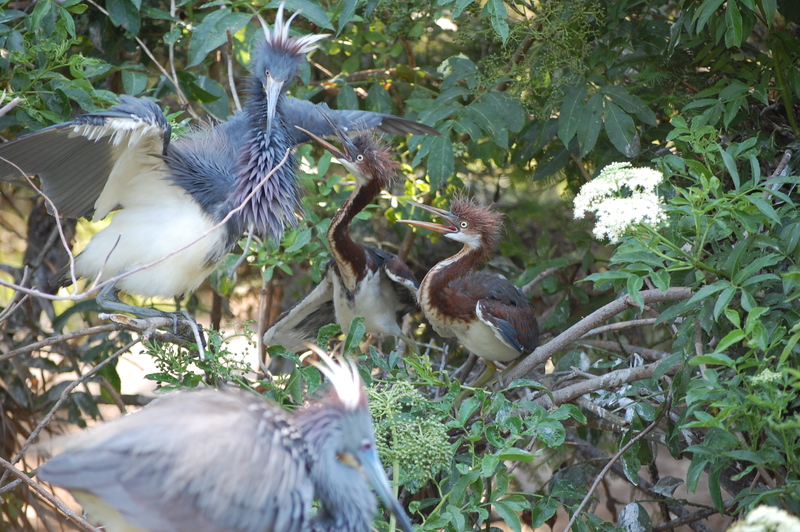 Late April – Rookery is mass chaos. Snowy chicks start hatching. 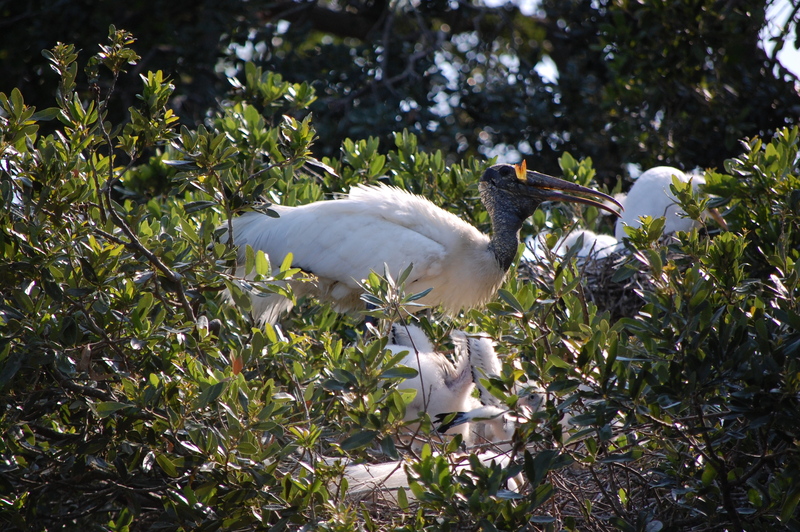 Wood stork chicks are screaming constantly. Great egret chicks are pretty big. All of the smaller species have arrived. 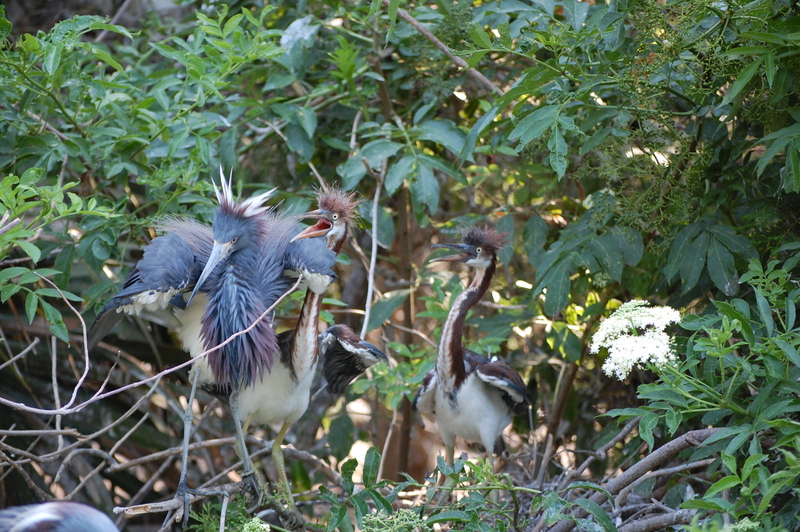 Early May – There are chicks of every species in the rookery at this time, but still displaying from all species with the exception of the wood storks. 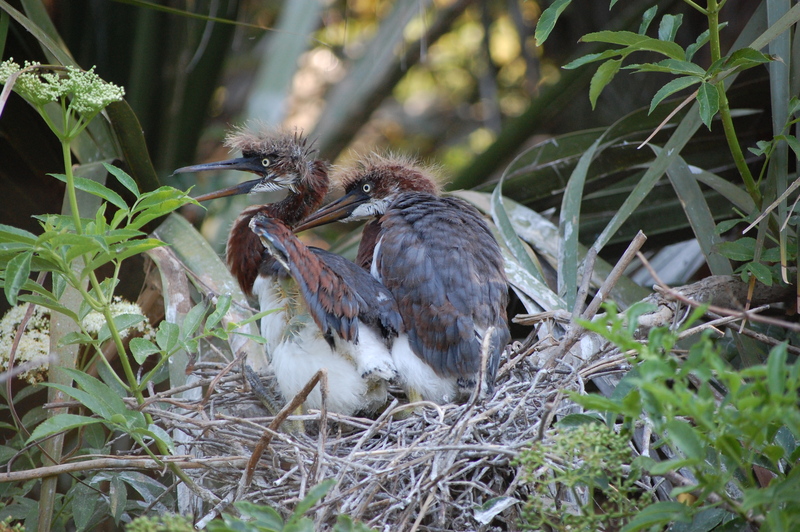 Green heron chicks hatching out within the park. Spoonbill eggs due to hatch soon. 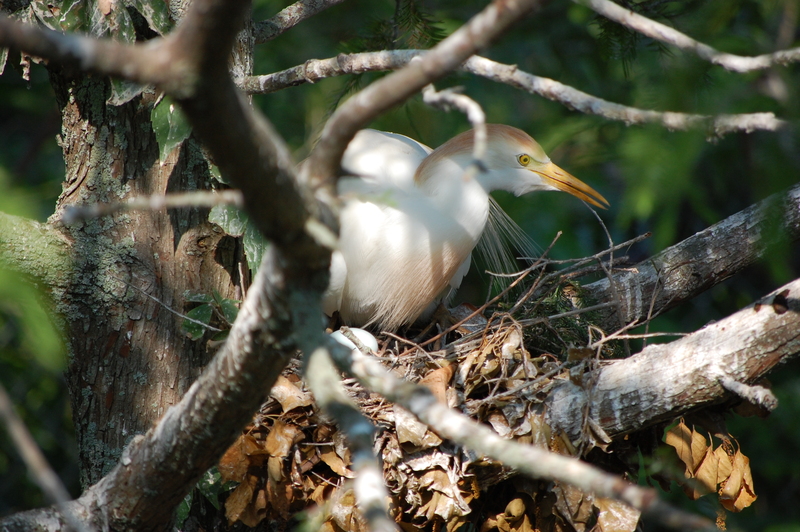 Mid May – The Great egret and stork chicks are giant. There are chicks of every size from every species. Many species still continuing to display. Early June – Nothing has even fledged yet. The displaying has started winding down but there are still birds on eggs. Chicks everywhere. July – Fledglings are everywhere. Displaying is over. 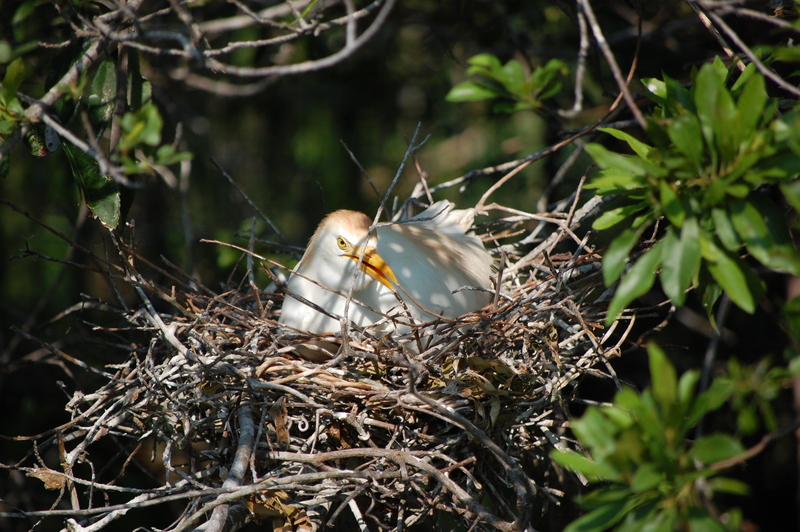 Still a few nests with smaller chicks. Sherry and I were finishing up when my daughter Susie called from Richland. I put it on speakerphone so we could both hear the news… Sherry and I were going to have our first granddaughter! Sherry let out a scream (it was her first grandchild), and we all went out for lunch to celebrate. Holly and Sherry at Conch Restaurant tiki hut… celebratory drinks in hand! !